For this exercise, we will be focusing on an archetype that you feel represents you at this point in your life or perhaps another life (past or future). After you have decided on your archetype you are ready to begin. I used collage pieces for my example that I felt went with the Creative Archetype that I identify with. You can start with collage pieces or with a drawing if you don't want to use collage. Before I glued my collage pieces down I painting in the background a yellow color. From there I arranged the collage pieces and glued them down. I then used a Stabilo pencil to outline some of the areas on the piece. From there I began to paint on and around the collage pieces to make the whole piece more cohesive. 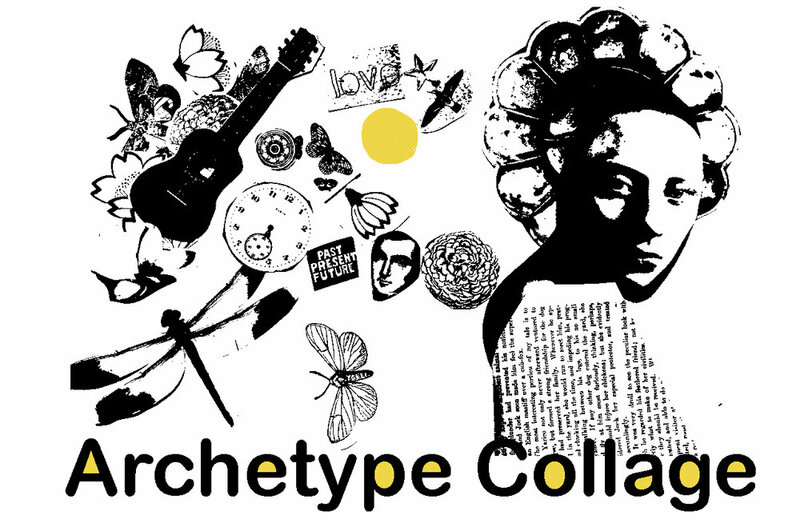 If you are ambitious you could so a piece for all of the Archetypes. There are multiple websites, like this one or this one that talk about some Archetypes. If you aren't sure what type you'd like to focus on for this lesson you can take an online quiz like this one to guide you.